And even more amazing are his students. Click here to see and hear a wonderful class perform for yourself! We know that no school-age child is too young to learn and follow procedures. When you establish procedures and routines early in the school year, you free up the rest of the year for teaching and learning in the content areas. For Bernie Alidor, structure is what enabled him to finally take control of his life. It is also what makes him a highly effective teacher. Bernie is a kindergarten teacher at Spencer Bibbs Academy in Pensacola, Florida. Most of his students come from lower socio-economic households and receive free breakfast and lunch at the school. Many are from single-parent homes and face difficult learning challenges and instability in their lives at home. Yet, each one of Bernie’s kindergarten students leaves his class at the end of the year with a “can-do” attitude. They understand the value of hard work, organization, and setting goals. As a child, becoming a teacher was the furthest thing from Bernie’s mind. Raised by his mother with very little money after his father died, Bernie suffered from ADHD as Bernie says, “before it was even an acronym.” Bernie had seemingly limitless energy levels but was directionless. His teachers had no clue how to handle him. He was labeled with just about every negative name possible—bad, defiant, disobedient, immature, dumb. Bernie tells us he was passed from grade to grade “because no teacher wanted me in his or her class for more than a year.” With little money and a poor high school transcript, Bernie knew college wasn’t an option. Still he knew he wanted a better life for himself, so he chose to enlist in the Navy. Fortunately for Bernie, the Navy provided a structured environment in which he could thrive. “In the Navy, you practice procedures over and over until you can do them in your sleep,” says Bernie. It is the Navy’s way of ensuring consistent results. For Bernie, the consistency allowed him to excel at something for the first time in his life. After ten years in the Navy, Bernie’s good record paved the way to a new opportunity. He was asked to attend Navy instructor school in Pensacola, Florida. Over the ensuing years, Bernie became qualified to teach everything from deep-water survival to drug awareness and CPR. He was a good teacher and he loved it. Now he knew what he wanted to do following his final Navy tour. He would become a schoolteacher. It wasn’t easy; school had never been Bernie’s favorite place. And now he was married with three young children. Still, he refused to give up. While working full-time to help support his family, Bernie completed college with a degree in elementary education in just three years. Bernie realized that he was able to succeed largely as a result of working within a structured environment in the Navy. If structure worked for him – challenged as he was by his ADHD – he knew it would be effective within his classroom. or failure for the rest of the school year. “That is why I spend extra time and effort getting my room ready long before I even know the names of my students. I want the first day of school for my kindergarteners to be a very special day for them. They will get breakfast and lunch every day. He will make sure they get on the right bus at the end of the day. These are things the students are most anxious about. “If they fill their time worrying, they won’t be able to focus on learning,” he says. Bernie wastes no time. Once his students have been assured, he begins teaching his classroom procedures. “Because most of my kindergarteners cannot read yet, a written list of rules won’t work,” says Bernie. “Of course, I never use the word rules anyway. Instead we just talk about the correct way we are to do things in kindergarten. I guide the discussion, but always try to let them think that they are coming up with the ideas of how “big” boys and girls should act in kindergarten. “I use a method called modified modeling to teach my students the correct procedures. Instead of just telling my students what the procedure is, I act out the wrong way first. For example, in my classroom, if a child needs to use the restroom, they raise two fingers. I model the correct procedure. I ask individual students to model it. I ask the whole class to model it. 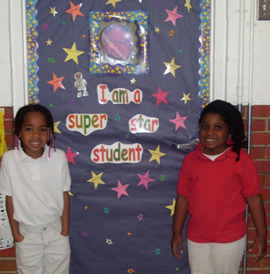 “We continue going through our classroom procedures using this process for most of the day. 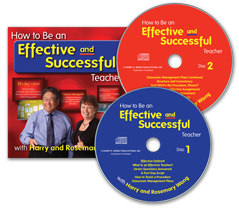 “I have three good reasons for using this method to teach. The children love watching me act out the wrong way to do something. It helps them relax and loosen up. The children like being part of the process for thinking up the procedures. It gives them immediate ownership. The children all get a chance to model the correct procedure. This lets me know when and if they have learned it. Get citizenship/homework folder out of your book bag, and put it in the Folder Holder. Hang up your book bag. Get out a book and read until given further instructions. When I say “Listening Position,” stop all activities. Sit up in your seat. Fold your hands on top of the desk. Sit still and look at me. If you need to go to the restroom, raise two fingers. If you need help or have something to say, raise five fingers. My hands are at my side. I’m standing straight and tall. I’m ready for the hall. Walk on the right of the side of the hall. Follow the silver tile line on the floor. Serves as the line leader for the week and sets the example for the others while in line. Responsible for taking the attendance sheet to the office and makes other trips to the office as necessary. Passes out and collects all papers and other materials as needed to perform classroom assignments. In the morning the pencil mechanic distributes pencils from the pencil box to the students. In the afternoon, he/she collects and re-sharpens the pencils for the next day. Special Note: During the day if a pencil breaks, students may quietly exchange it for another one in the pencil box. No talking, raising hands, or sharpening pencils is needed. While all the students are responsible for keeping their desks clean, the clean-up custodian goes around the room at the end of the day to check that everything has been picked up and put in its place. Sets lunch tables with utensils and napkins. Passes out the milk at lunch. Opens, holds, and closes the door for the other students. Turns the classroom lights on and off as needed. According to Bernie, “The students love doing these jobs and look forward to their turn at each task. They may only be five years old, but they take pride in doing their jobs well. And they enjoy the responsibility and leadership that come with their tasks. Their willingness to handle these jobs serves as a role model for the other students and makes our days run smoothly with fewer interruptions. When Bernie interviewed at Spencer Bibbs Academy, he knew he had found “his school.” Filled with disadvantaged youth, the school offered Bernie an opportunity to work in an environment similar to the one in which he grew up. “My teachers might not have agreed, but I am living proof that all children can learn,” says Bernie. “If I did not believe that statement,” Bernie tells us, “I would not be teaching today. So what keeps me interested and motivated year after year working in one of the lowest socio-economic school districts? The fame! The money! The glory! The glamour! “Still laughing? When you stop I’ll tell you the real answer. Corny as it might sound, I truly believe that I can change the world one child at a time. If I can do my part to help a student have a better future, that is all the motivation I need. 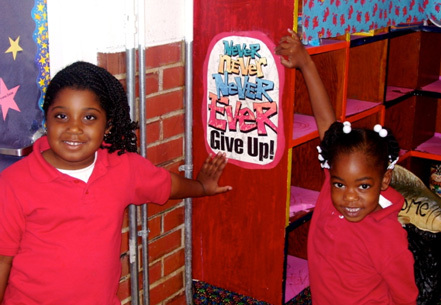 “The importance of having positive expectations for our students cannot be overstated. No matter how difficult things were for me growing up, my mother never let me give up. She would say, ‘You can do it!’ Frankly, she just wouldn’t take ‘no’ for an answer. My mother’s positive expectations for me are what propelled me to overcome my obstacles to work hard to achieve my goals. Her words remain in my mind. Never, Never, Never, Ever Give Up! “On the first day of school we discuss this together as a class. I ask my students to always do their best. It’s only natural that there will be times when they are frustrated with something. Still, saying I can’t is not an option. I encourage my students to think I can and I’ll keep trying. Many of the parents of Bernie’s students have tough lives. They are often the sole caretakers and breadwinners for their families. Their time is limited. Sometimes their vision for the future is limited as well. But Bernie works to involve the parents in their children’s education from the start. He explains that his expectations for their children have no limits. He assures them that he will do his best as their teacher to help their children achieve the highest level of success they can reach. Then he tells them he will need their full support. Bernie has yet to meet a parent who has not been supportive when approached in this manner. Sometimes all it takes is information, encouragement, and high expectations. He says, “I have been to many educational conferences, but this one was more than just a pep rally. One of my favorite parts focused on the importance of teachers. I get so tired of teachers always blaming everything under the sun for the problems they encounter in their classrooms. I say quit complaining and use that energy for something positive. Learning takes focus—which requires a stable and consistent environment, one that removes distractions and situations that take away from the teacher’s teaching time and the students’ learning time. We understand that all too often students come to school with the weight of the world on their shoulders. Some have major responsibilities for sibling care or adding to the family income. Others witness violence that hits too close to home. Many come to school unfed—hungry and tired. Still others must overcome the obstacles that stand in the way of conventional learning, such as attention deficit disorders, dyslexia, or other learning challenges. As we have seen time and time again, a structured school environment provides these children with the only safe and consistent environment they know. Ask Chelonnda Seroyer how school became her comfort zone after her world turned upside down when her mother passed away. She’ll also tell you that procedures are what made her an effective high school teacher from her very first day of teaching. “My students enjoy having a predictable environment. They feel safe because they know exactly what to expect each day. They like consistency in a world that can be very inconsistent. 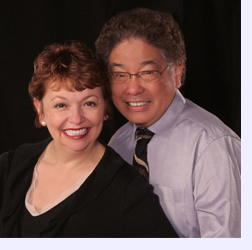 Procedures are simple, but their impact is enormous.” Chelonnda’s story and her procedures can be seen by clicking here. Nathan Gibbs’ fourth-grade classroom runs like a well-oiled machine. Like Bernie, he is an effective teacher who manages his classroom with procedures. Nathan also suffered from ADHD as a child. He realized that he was the most successful in classrooms that were structured. Now he knows that if his procedures enable even his most challenged students to be successful, he will have a classroom filled with successful students. To read more about Nathan’s procedures, click here. In March 2007, we introduced you to Karen Rogers, a high school teacher in Kansas. 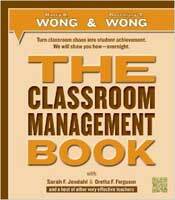 Karen says, “Procedures are such an important part of classroom management. They work at all levels. In my high school classroom, if I don’t reinforce a procedure throughout the year—for example, being seated for dismissal—it becomes a management problem later in the school year when I must then waste time at the end of the hour repeatedly saying, “be seated!” Click here to see Karen’s procedures. Every one of these teachers know: Students want a well-managed classroom even more than the teachers do because there is security in a classroom that is consistent. There are no surprises and no yelling in a classroom where everyone—students and teachers—knows what is happening. Consistency comes from procedures and routines. We know that students readily accept a uniform set of classroom procedures because it simplifies their task in succeeding in school. Efficient and workable procedures allow many activities to take place with a minimum amount of confusion and wasted time. It is up to us as teachers to structure and organize a classroom so our students feel safe. And so our students can learn. 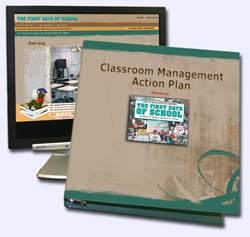 If you have successful classroom procedures you would like to share with us, we’d like to hear from you! 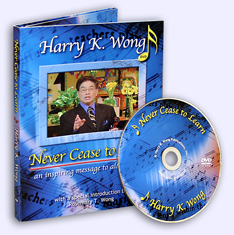 Please send your emails to hwong@harrywong.com. Troops to Teachers is a U.S. Department of Education and Department of Defense program that helps eligible military personnel begin new careers as teachers in public schools. The primary objective of the program is to help recruit quality teachers for schools that serve students from low-income families throughout America. Troops to Teachers helps relieve teacher shortages especially in the areas of math, science, and special education. The program provides many services that assist military personnel in making successful transitions to second careers in teaching. At the time Bernie Alidor began his journey to become a teacher the program was in its infancy and was not able to provide much more than career advice. Today Troops to Teachers is a cooperative program of the Department of Education and Department of Defense, which provides counseling and referral services to military personnel interested in teaching as a second career in the K-12 public school system. Eligible applicants also receive financial assistance. 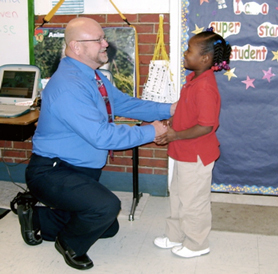 Bernie has become an active member of the Troops to Teachers program serving as a mentor to other service members interested in becoming teachers. 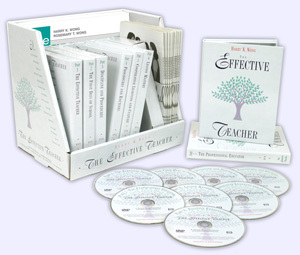 For more information on the Troops to Teachers program go to www.proudtoserveagain.com. We’ve titled this column “An Amazing Kindergarten Teacher.” Yet, what Bernie is doing in his classroom on a daily basis really isn’t amazing in the true sense of the word. 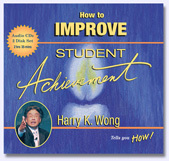 He practices solid classroom management techniques together with positive expectations and to his amazement—It Works!! Amazing sounds so out of reach and applicable to only a few. Read through the past 8 years of teachers.net articles during your summer break and you’ll find each of the teachers featured are amazing. But, ask them personally, and they’ll reply very humbly they’re just doing their job—producing successful students. It doesn’t cost a penny to produce successful students. It just takes commitment to put into practice the techniques known to deliver student achievement. We didn’t say it would be easy, either. Simple, yes, easy, no! The road in the beginning will be riddled with pot holes and you’ll have a few fender benders along the way. But, once you hit the open road, it really is the road trip of lifetime for you and your students. 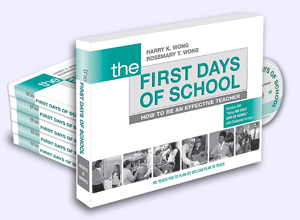 Prepare yourself this summer and get amazed when you greet your students this next school year.